The Europe-Korea Foundation (EKF), an charity arm of the European Union Chamber of Commerce in Korea (EUCCK) is organizing the "Beautiful Saturday Event" at COEX in Seoul on Sept. 10, 2005. The charity sale event, to be held from 12 noon to 5 p.m. on the day in front of COEX Convention Center, is co-organized by the Beautiful Store (www.beautifulstore.org) and EUCK member companies. The Beautiful Saturday Event is a giant sale of second-hand goods donated by the employees of participating companies, who are also volunteering to sell their donated goods during the event. The profits from the sale will be used for South Korean charity organizations. The nine EUCCK member companies joining this event are Agfa Korea, BASF, Cognis Korea, Doosan Otto, Grundfos Pumps Korea, Henkel Korea, Philip Morris Korea, Regus Korea, and Siemens Korea. The participating companies collected donated goods from their employees, which will be sold by volunteers from each company for the Beautiful Store. Some of them also donated their companies' products. One company will even be making products on the spot for sale at the event. The Europe-Korea Foundation (EKF) was established in May 2001 as the charity arm of the European Union Chamber of Commerce in Korea (EUCCK). 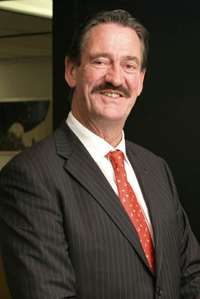 Currently, Mr. Frans Hampsink serves as EUCCK president. It was created with the aim to demonstrate that the European Union (EU) nations and businesses have keen interest in and affection for Korea not only in the field of economic cooperation but also in the areas of social welfare and cultural exchange. EKF is a public foundation focusing in its work on improving relations between Europe and the Korean Peninsula as well as enhancing mutual cooperation. EKF will continue to strengthen ties between the EU and Korea through a variety of programmes, such as cultural exchanges, sports events, training seminars and projects promoting inter-Korean understanding and peace. The Beautiful Store is a place where people come together and practice sharing by donating items, such as clothes, bags, books, music, videos, kitchen appliances, children and baby goods, furniture, sports goods, etc., which they no longer use but which others could still be interested in. They collect and repair used items and sell them at bargain prices. 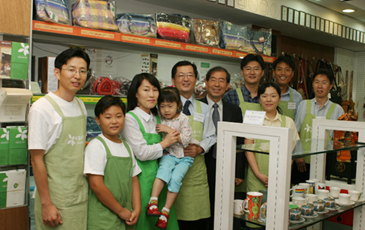 Through this process, they are creating a recycling culture in Korea. For more information, please contact Ms. Nicole Risse, EKF director at nicole.risse@ekf.or.kr or at 02-725-0381.